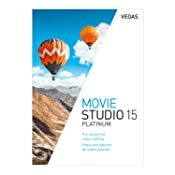 VEGAS Movie Studio 15 Platinum video software offers a unique combination of powerful tools, an innovative user interface and high-quality effects and filters. 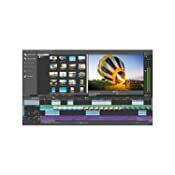 Cut video footage and edit it using professional tools on 200 video tracks and 200 audio tracks. The program supports media from all current devices including iPhones, in up to 4K resolution. Effortlessly modify image color, rescue shaky footage with image stabilization and produce your own soundtracks. Make each and very one of your creative ideas reality with Movie Studio Platinum. 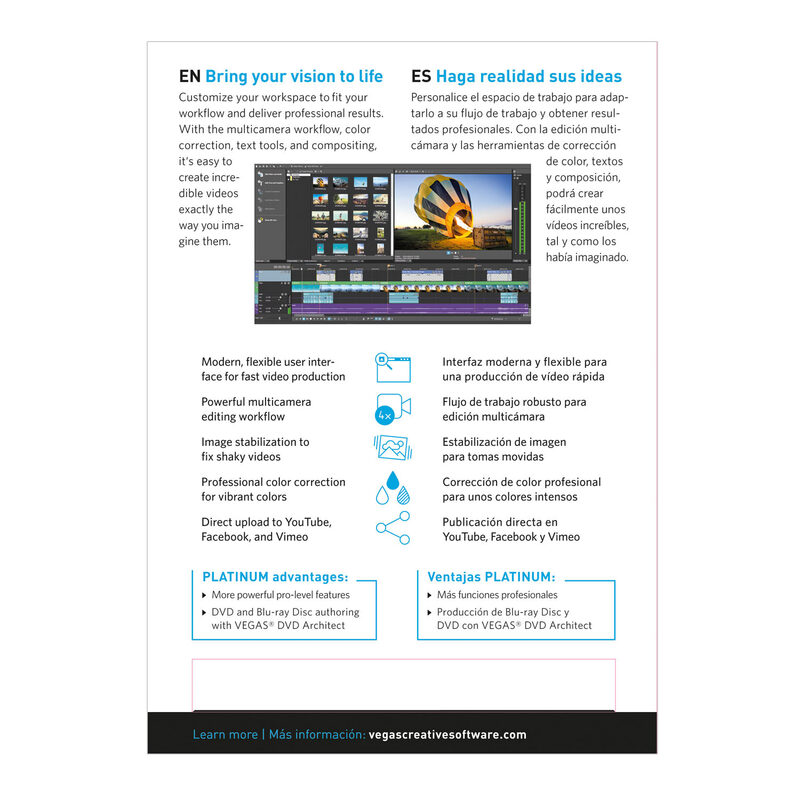 High-quality effects & filters, video stabilization, soundtrack design and more.